Llangefni, the county town of Anglesey with its thriving market sits at the very heart of the island and is the seat of Anglesey’s County Council. Although it has ancient roots that go back beyond the Roman occupation, it has only grown in size and importance in relatively modern times. Much of its architecture, including its clock-tower and church are Victorian and testify to the town’s growing importance. The old Roman road to Holyhead runs through the town and it is bounded by the river Cefni from which it now takes its name. However, it was once known as Llangyngar after Saint Cyngar, a connection that still lives on in the name of the town’s church. Cildwrn Chapel is even older, dating back to 1750 and would, no doubt, have been known by the famous Welsh preacher, Christmas Evans who once lived in the town. 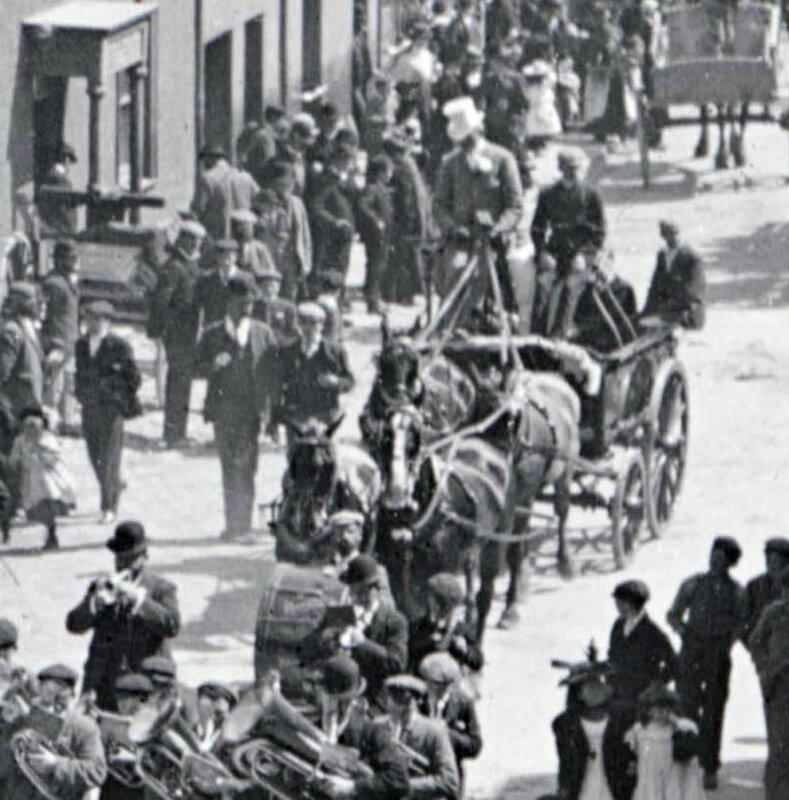 The market was first held in 1785, and is still very popular on Thursdays and Saturdays. Looking across the Town stands Melin y Graig. This mill was built in 1828, but unfortunately no longer works. The Bull Hotel sits in the square adjacent to the Town Hall, and is a Grade 2 listed building. It was built in 1852 as a large victorian coaching inn. The town had a station on the Anglesey Central Railway line which opened in 1864. It closed in 1964 although goods trains continued to pass through the town until 1993. Although no longer used, the tracks have not been removed. The Town Hall was built of the same limestone, and was opened on 10th March 1884. 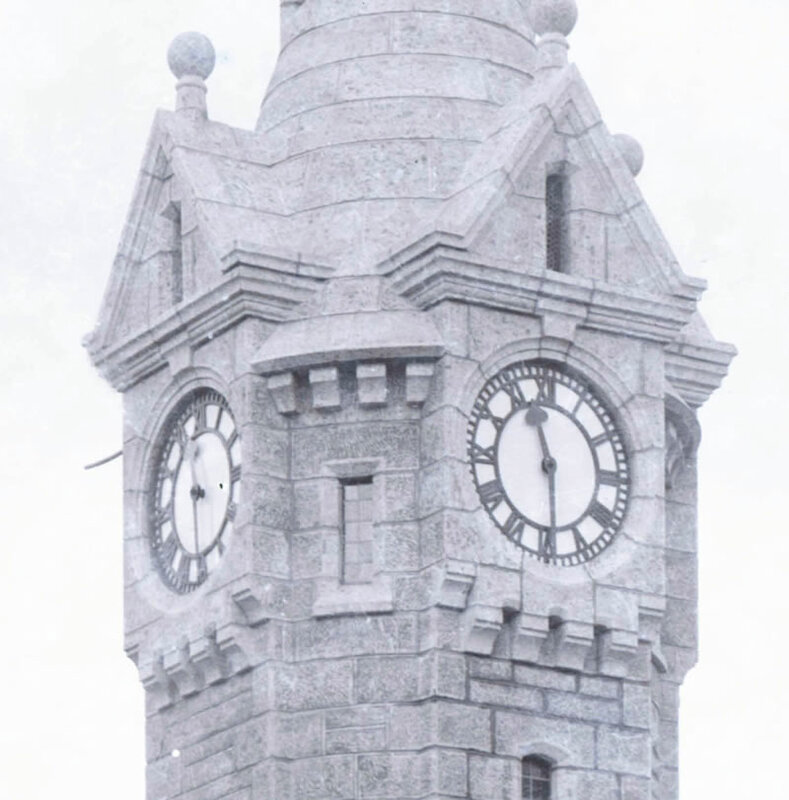 The clock was built in 1902-1903 with Traeth Bychan limestone to commemorate the Boer War (1899-1902) and dedicated to the Memory of Lt. George Pritchard-Rayner of Tre Ysgawen. © 2018 Llangefni Town Council · All rights reserved.